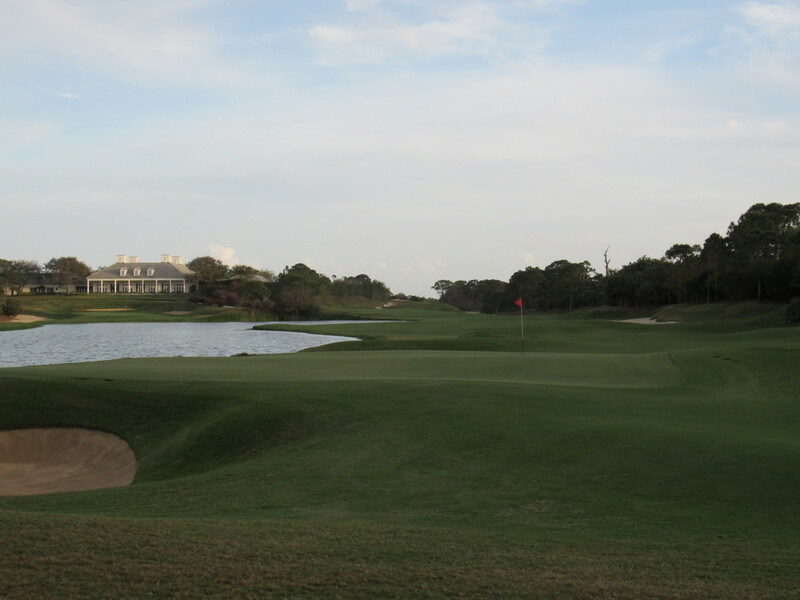 the fried egg headed south for a weekend of golf, and we were lucky enough to play Loblolly in Hobe Sound, Florida. Designed in 1988 by P.B. 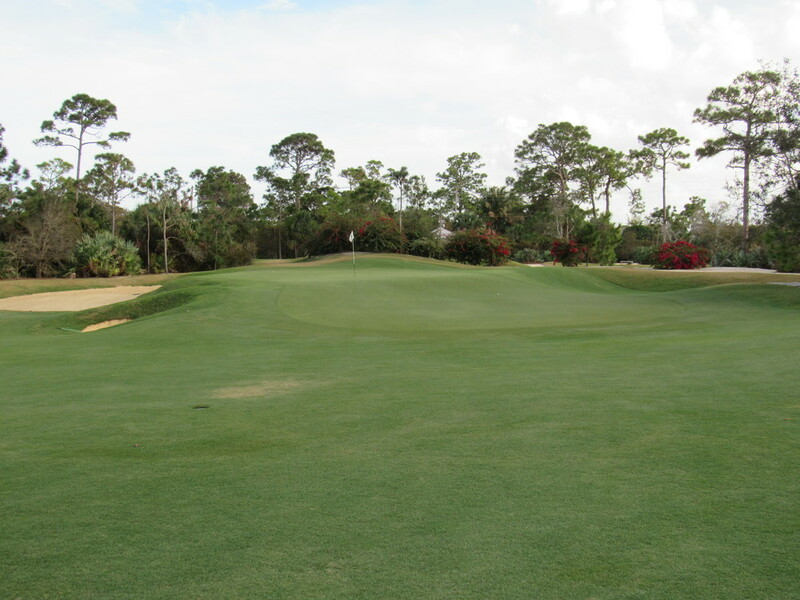 Dye and Pete Dye, this immaculately manicured course is one of the hardest in the world. While it may not get the hype and publicity of it's neighbors, McArthur and Medalist, it's every bit as good if not better. 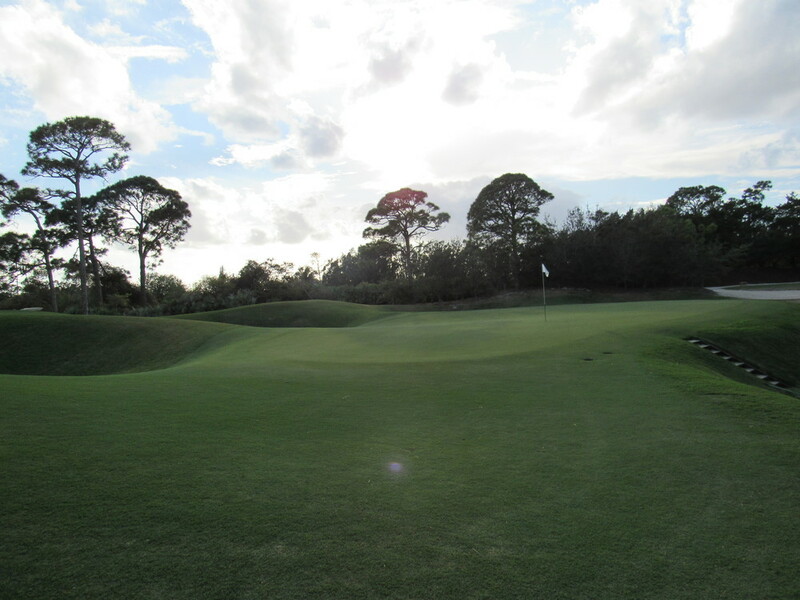 Loblolly found itself on Golf Digest's America's 50 Toughest Golf Courses list in 2010, but it is as fair of a golf course as you can find. 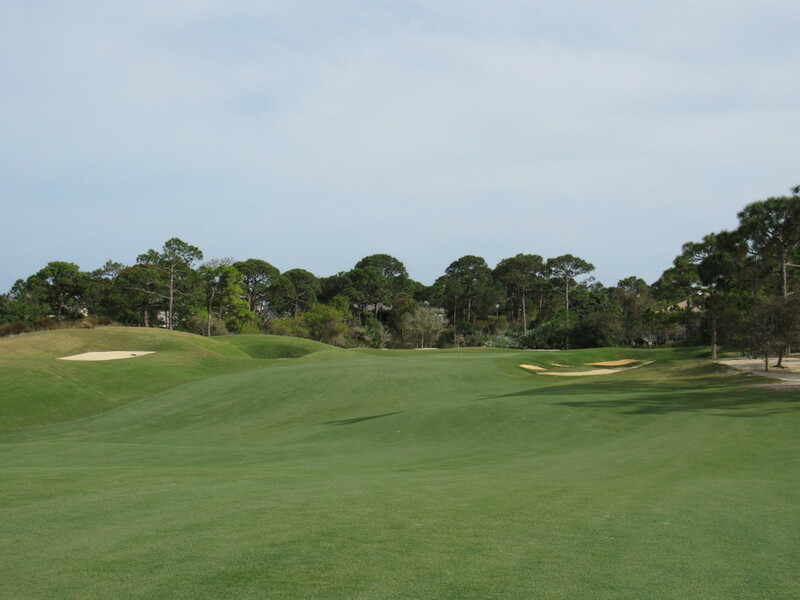 Very generous off the tee with large landing spots, Loblolly challenges players on approach shots with heavily protected greens. 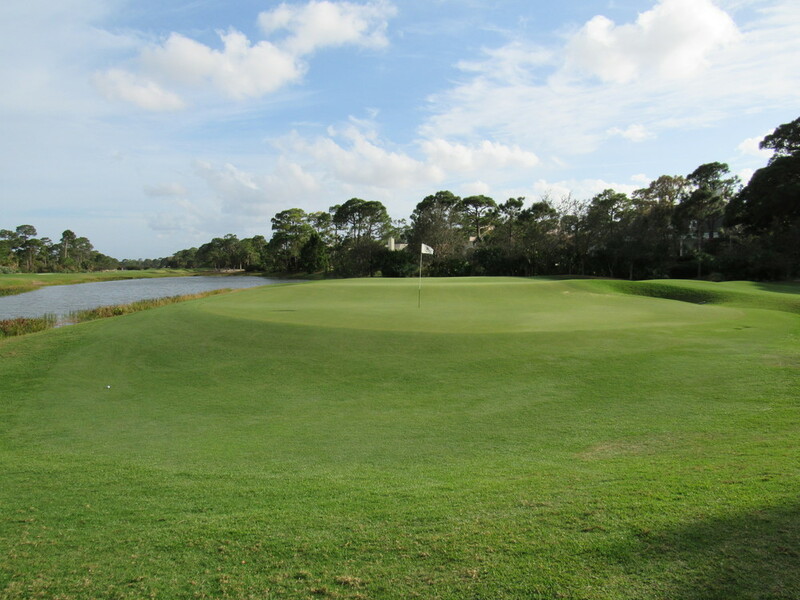 To score well, a player must have all aspects of their golf game working. 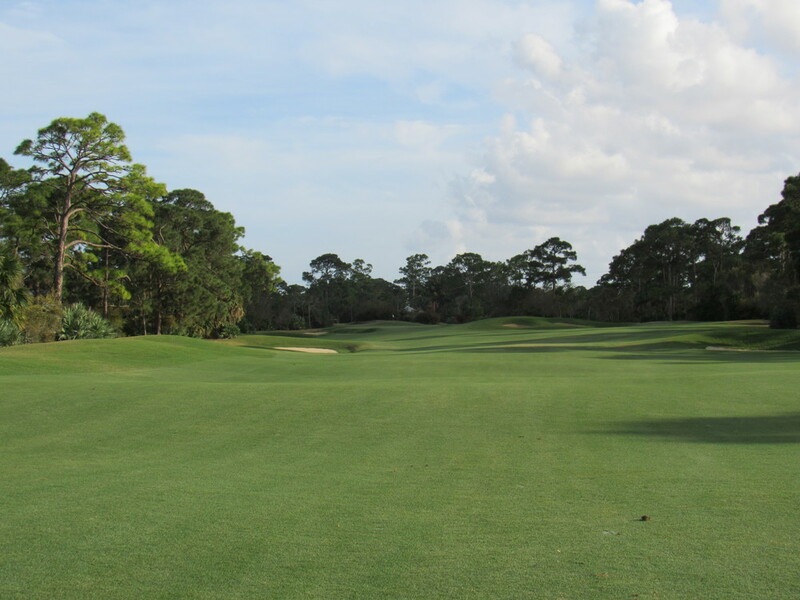 The third at Loblolly is a sharp dogleg right. 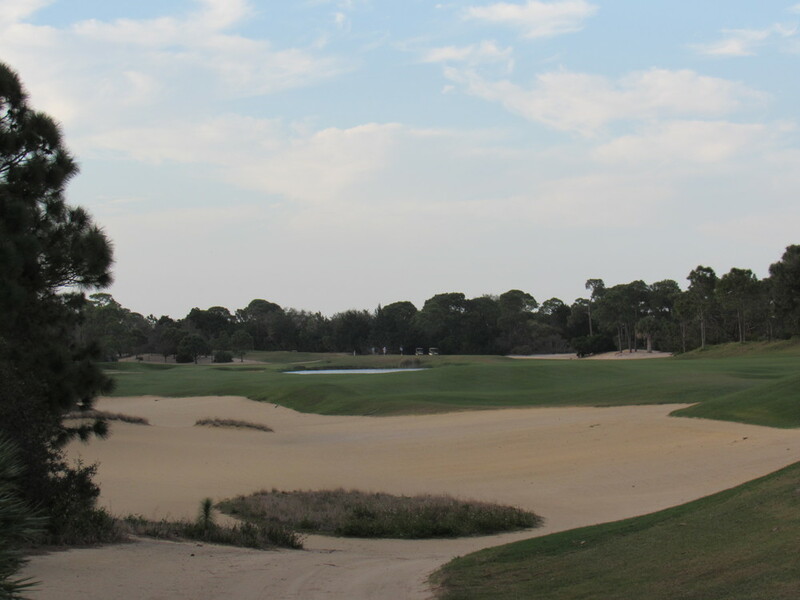 A sharp dogleg makes reaching the green in two difficult. The clubhouse overlooking the 18th green. Looking back at the 18th.